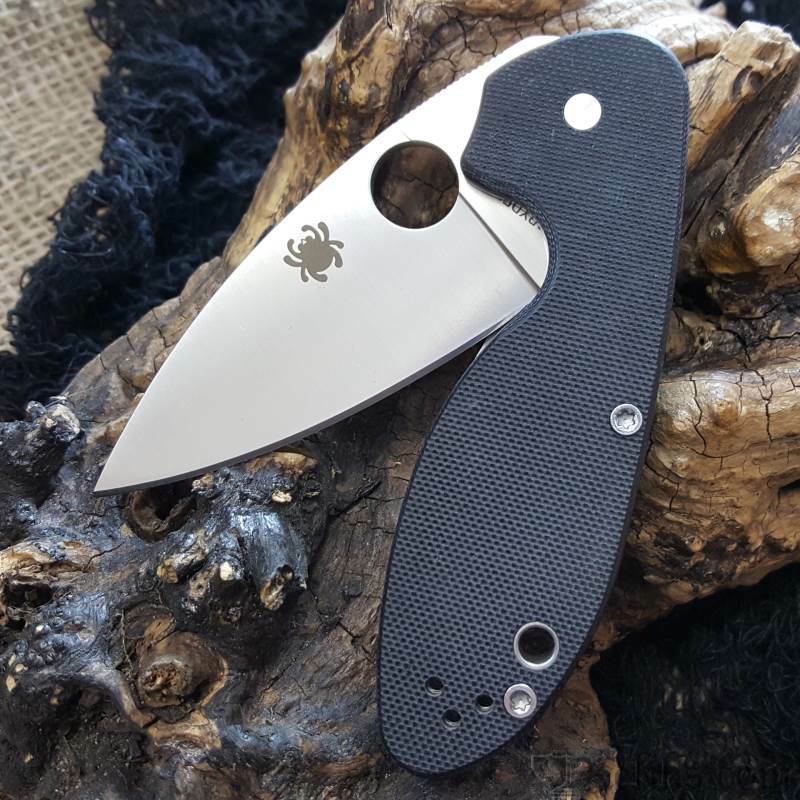 Designed from the ground up as a member of Spyderco’s popular family of affordably priced full-service folding knives, the Efficient proudly includes all the high-performance features and benefits that savvy knife users have come to expect from Spyderco knives in a format that suits practically every budget. 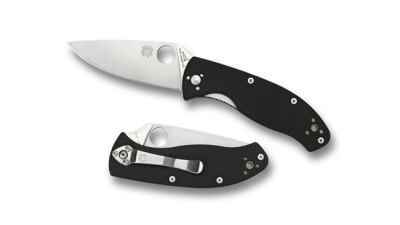 The heart of the Efficient’s compact, ergonomic design is its full-flat-ground drop-point blade. Precision machined from 8Cr13MoV stainless steel, its broad profile and PlainEdge™ cutting edge offer outstanding edge geometry for low-friction cutting performance. An index-finger choil (finger groove) at the base of the edge provides a comfortable purchase for a forward grip, allowing enhanced control during precise cutting chores. 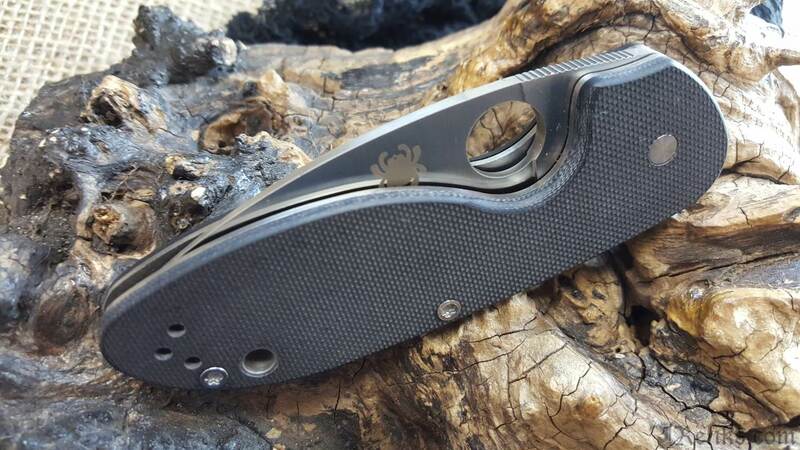 To ensure swift, one-handed opening, the blade also proudly features Spyderco’s signature Trademark Round Hole™. Built on a framework of full, skeletonized stainless steel liners and a stout stainless steel back spacer, the Efficient’s handle construction provides serious structural strength and forms the foundation of its sturdy LinerLock mechanism. 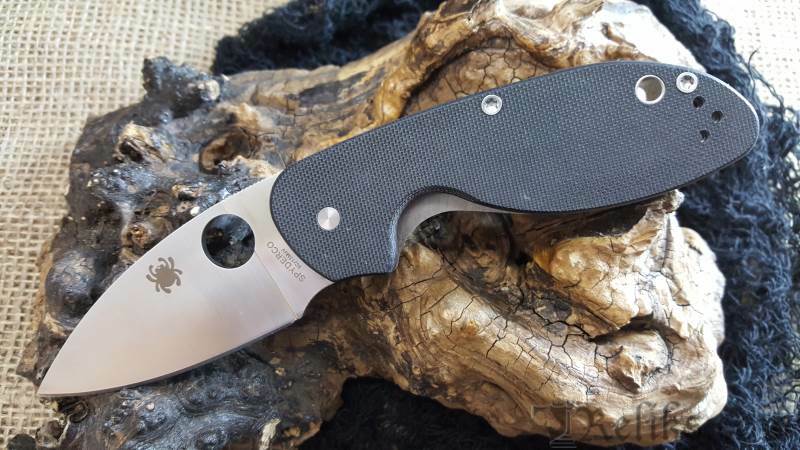 To guarantee a secure, non-slip grip, the liners are capped with high-traction, textured black G-10 scales and include a generous cutout that allows easy right-handed access to the blade’s Round Hole, as well as convenient, one-handed release of the lock. To keep the Efficient poised and ready for action, it includes a reversible hourglass clip that can be configured for left or right-side tip-up carry and a lined lanyard hole for easy attachment of fobs and lanyards. 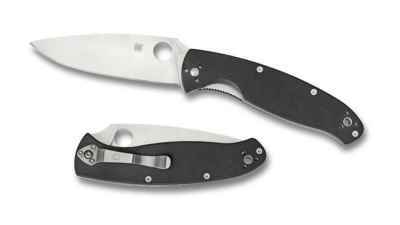 Spyderco Efficient Knife - The Efficient proudly includes all the high-performance features and benefits that savvy knife users have come to expect from Spyderco knives. 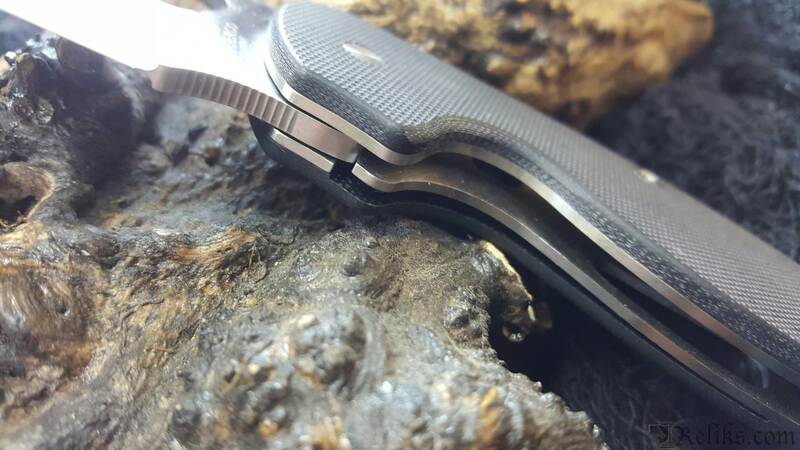 Efficient Knife - The heart of the Efficient’s compact, ergonomic design is its full-flat-ground drop-point blade. Precision machined from 8Cr13MoV stainless steel, its broad profile and PlainEdge™ cutting edge offer outstanding edge geometry for low-friction cutting performance. 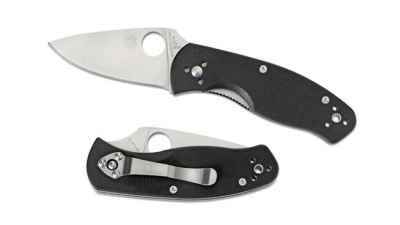 Spyderco Round Hole - To ensure swift, one-handed opening, the blade also proudly features Spyderco’s signature Trademark Round Hole™. 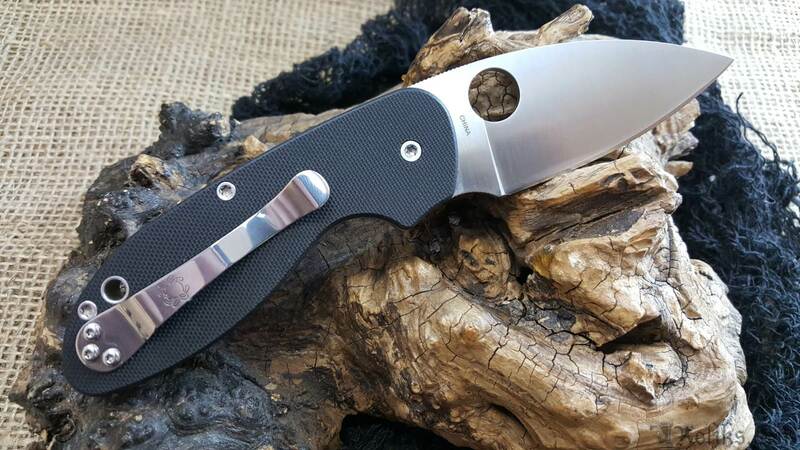 Efficient Spyderco Knife - An index-finger choil (finger groove) at the base of the edge provides a comfortable purchase for a forward grip, allowing enhanced control during precise cutting chores. Efficient Knife Clip - To keep the Efficient poised and ready for action, it includes a reversible hourglass clip that can be configured for left or right-side tip-up carry and a lined lanyard hole for easy attachment of fobs and lanyards. 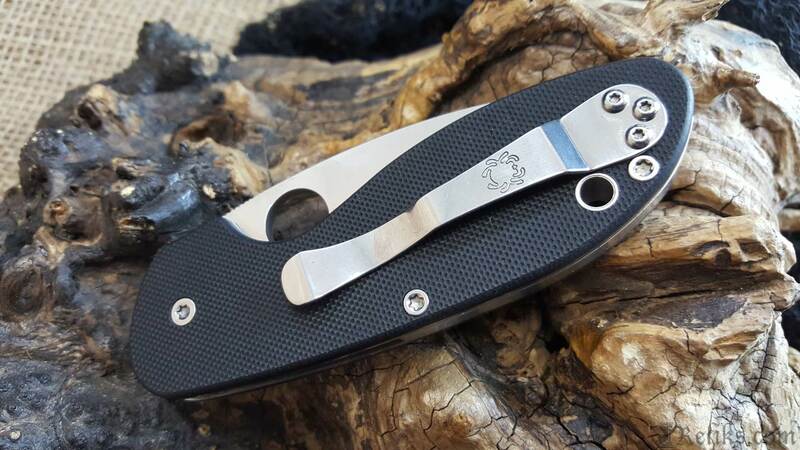 Spyderco Liner Lock - The Efficient’s handle construction provides serious structural strength and forms the foundation of its sturdy LinerLock mechanism.